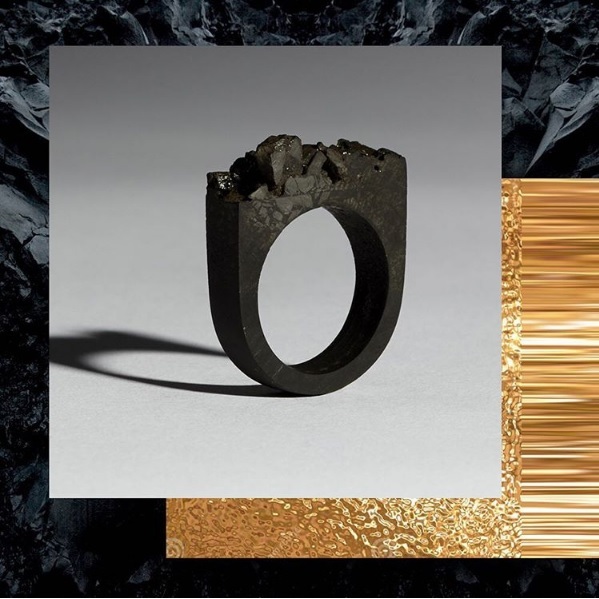 Coalstore makes jewellery which embeds coal into art and in the process traps carbon and the power of the material into the rings, bracelets, necklaces and objects. The pieces in the collection are produced by hand in the vaults of Somerset House by a new movement of jewellery makers and material alchemists working under the tutelage of internationally acclaimed artists, theologians and philosophers from King’s College London. 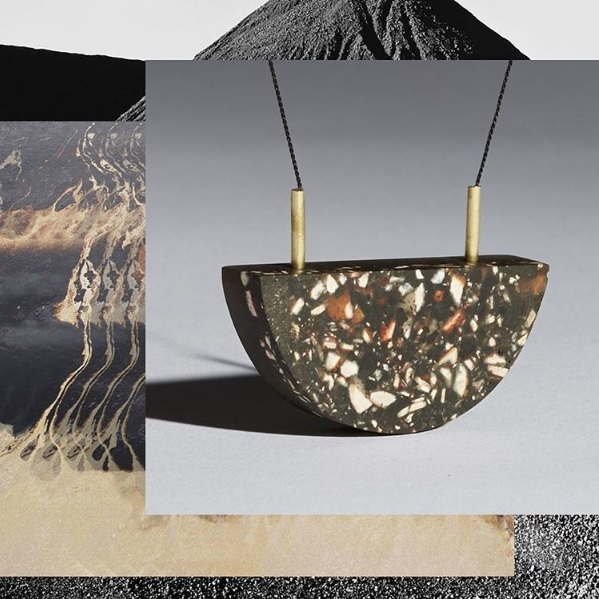 Coalstore produces handcrafted jewellery, sculptures and fashion pieces made from fossilised carbon minerals. Each piece is made under high pressure and temperatures, slowly converting ancient trees into precious rocks. It captures the energy of the past and is worn in support of the global climate movement. Something & Son have initiated the project with the aim of changing people’s relationship with coal and to explore a near future where coal is no longer burnt and is instead treasured as a material for it’s miraculous properties and history. Coal is a powerful rock that through its history has powered the industrial revolution and in the past been used as make up and worn as jewellery. Now it changes the climate. Does what we consume define who we are? Are luxury goods – from watches to trainers – status symbols, pieces of art, or just an excuse for a hefty mark up? Is consumerism necessarily in conflict with environmentalism or could the two work together? Join philosopher Sacha Golob to discuss these issues in the context of Coalstore, the new project by Something & Son, producing ornate pieces of wearable art using coal as the raw material. To what extent are religious traditions such as Christianity complicit in exploitative attitudes towards the natural world? Or are they, perhaps, a source for rethinking such attitudes, allowing us to achieve a more harmonious balance between the satisfaction of our needs and the limits and demands of the environment? Join philosopher Christopher Hamilton to explore these and related questions. The limited Black Sunlight capsule collection and new store have launched at Somerset House on 28 April 2016 and will be open to visit until 22 May 2016. The store is open Wednesdays to Sundays 10.00 – 18.00, and is located in the New Wing. Coalstore is delivered in partnership with Arts Council England, Somerset House, TippingPoint, Makerversity and King’s College London.